Navigine has been perfecting indoor navigation with beacons since 2011. The New York based solution provider with R&D Center in Moscow has installed beacons in over 500 locations including major train stations in Moscow, Kesko supermarkets in Finland, the Dubai International airport, and even Hamleys. Plenty of companies do indoor navigation. The question is how do you create a system that is reliable and accurate? WiFi systems can be expensive and even inaccurate. Existing active RFID solutions are often too costly for those businesses wanting to invest in navigation. As more and more companies are looking to add wayfinding to their apps and platforms, Navigine needed to create a solution that was both accessible and reliable. It would take 5 years of R&D to master their niche. The moment iBeacon was released, they knew they had found the right tool. And it was the Kontakt.io beacon that brought the signal quality, longevity, and price their customers would need. Convenient SDK and CMS made it simple to install and maintain a large number of beacons. In fact, it enabled them to install over 2,000 beacons for one client in a single week. 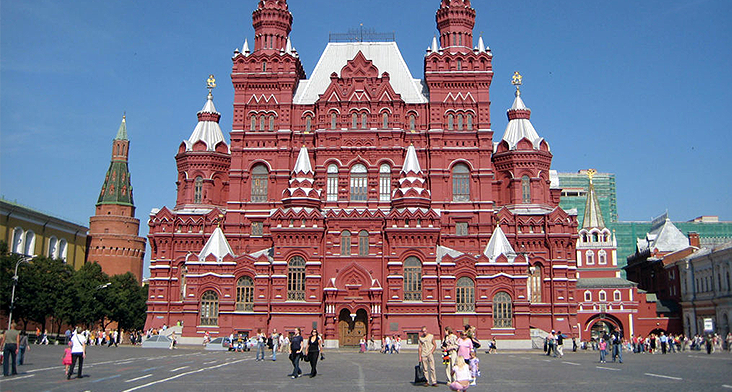 The Kunstkamera museum is the oldest museum in Russia. It’s not only highly established and popular, it’s also often thrown into the top ten weirdest museums in world. Recently, the museum wanted to give their visitors a surprise. They wanted visitors to have more options to interact with exhibits, so they turned to Navigine; the Kunstkamera Museum Guide app would quickly get over 5,000 installations in the early months following its release. The technology of creating electronic expositions was implemented on the basis of the KAMIS system. Maugry was responsible for developing the application. The app not only helped visitors by providing basic information like ticket prices and opening hours but also helped them explore the museum better. Wayfinding let visitors discover specific pieces or areas more easily, digital and audible content complemented physical exhibits, and the games and quizzes kept visitors more engaged than ever.